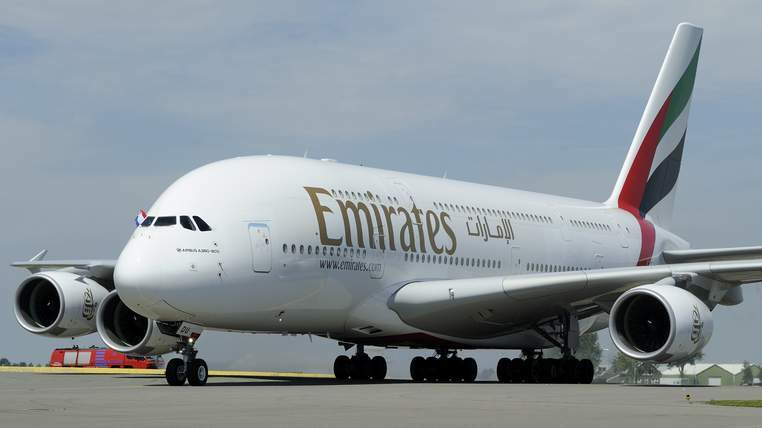 Rolls-Royce has won a £6.1bn order, a record for the company, from Emirates for engines to power 50 Airbus A380 superjumbos.Rolls-Royce said its Trent 900 engines would power 50 Airbus A380 aircraft due to enter service from 2016 and the contract included support work. Its chief executive John Rishton told Sky News the new business would safeguard UK jobs not only at Rolls-Royce but in the supply chain until 2020. Sites which are involved in Trent 900 production include Derby, Bristol, Sunderland, Hucknall in Nottinghamshire, Ansty in Warwickshire, Inchinnan in Renfrewshire and Barnoldswick in Lancashire. Mr Rishton said of the deal: “The success of Emirates over the last thirty years has been extraordinary; this is in no small part thanks to the exceptional leadership of Sir Tim Clark. “Rolls-Royce has been proud to have been part of this success, powering Emirates aircraft since 1996. Sir Tim, who is president of Emirates, added: “Rolls-Royce is a key partner for Emirates and we have been impressed with its commitment to continual improvements in the economic and operational performance of the Trent 900. “These improvements have been decisive factors in our selection of the product for 50 of our A380s. The order is a huge boost for Rolls-Royce. It issued a profit warning in February after confirming its first fall in annual revenues for a decade. Three months previously, Rolls-Royce had announced plans to cut 2,600 jobs – a result of defence spending cuts, global economic uncertainty and falling commodity prices. The company, which has its major UK manufacturing bases in Bristol and Derby, said it expected 2015 to be tougher than expected as the recent slide in oil prices had resulted in “increasing uncertainty” for many of its customers.